So, its hard to believe that 2013 is already over and its time to review the entire year! Its seems like just a few short months ago when I wrote an in-depth post outlining my goals for 2013. As you read this post, I hope it makes you reflect on your own goals and perhaps inspires you to stretch yourself a little more and perhaps become a little better in your business. Obviously this post is talking about me, my business, and my goals…but in some small way I hope it can benefit you. Overall, I know that public accountability is a huge motivator. I've thought about my original goals shared on Niche Pursuits here many time throughout the year. You guys all make me nervous…because I don't want to come short of my goals! So, with that, lets review what my goals were last year and the results! For this year, I had 6 primary goals that I discussed in January 2013 here. 1. Build 2 Public Niche Sites – Completed! I am happy to say that I accomplished this goal in BIG way during 2013! I was able to build the site BestSurvivalKnifeGuide.com as Niche Site Project 1 and it did extremely well! Obviously it had some ups and downs as people started copying my site and then building spammy links to it for negative SEO purposes…but overall it was actually very profitable, and still makes money despite the challenges. I will continue to work on this project and hopefully recover all my rankings…stay tuned! After Niche Site Project 1, I turned the reigns over to you and let you decide what type of public project I should do. The popular vote came back that I should train someone without much experience to build their first successful niche site. In fact, I even let YOU pick the student. The popular vote came back that I should select Perrin. 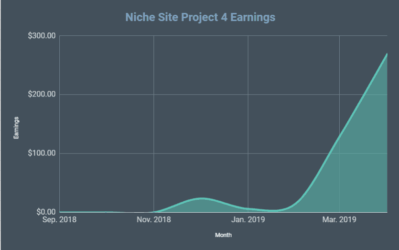 Perrin has knocked the niche site project 2 site out of the park! Through several coaching sessions and video training, Perrin was able to build aPennyShaved.com. Not only does he currently rank #1 or 2 in Google for his primary keyword, but he made over $650 in December 2013! I fully expect that aPennyShaved.com will earn over $1000 this month (January), he is well on his way. 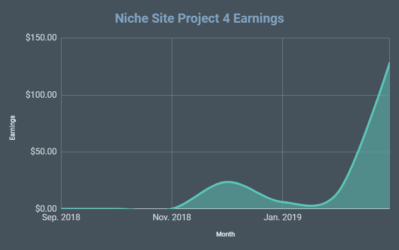 Not only were these niche sites profitable for Perrin and I, but I have heard MANY stories from others sharing their success by following these case studies step by step. So, congratulations to all of you out there for your successful sites! As a reminder, a “Niche Pursuit” is a small niche business idea – outside of building niche sites. This might be buying and selling used books, create a small piece of software, or anything else. I suppose that I could count Rank Hero as a niche business venture that I undertook this year. But I really view that as an extension of my existing business. As the year went on, I found that I needed more and more time to focus on the growth of Long Tail Pro, NichePursuits.com, and my own niche sites (among other things). So, perhaps its not a bad thing that I focused and grew my existing business, but it does mean that I didn't fully accomplish this goal. In 2012, NichePursuits.com had 199,598 Unique Visitors; or an average of 16,633 monthly unique visitors. 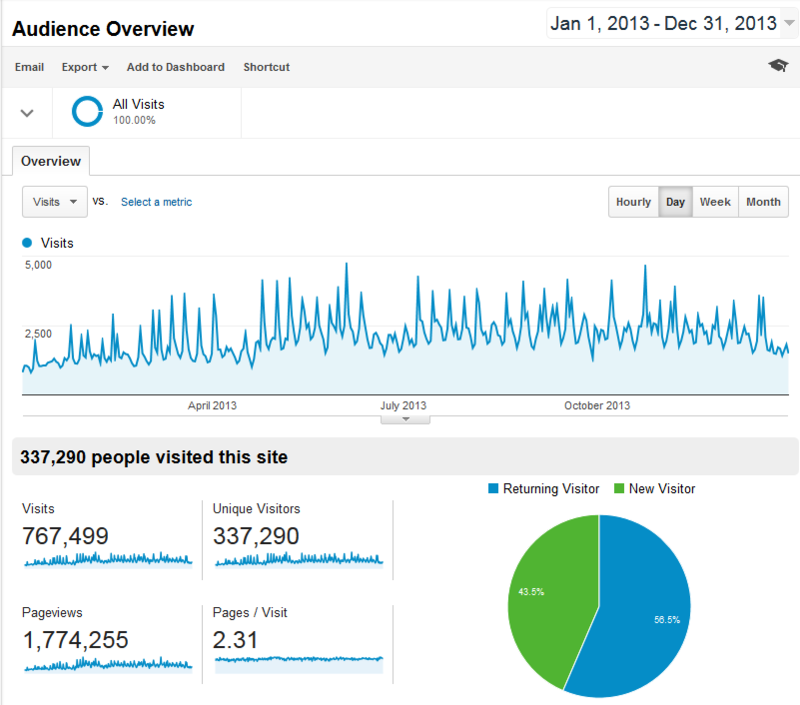 In 2013, NichePursuits.com had 337,290 Unique Visitors, or an average of 28,107.5 monthly unique visitors. So, I did not hit my goal, but my blog still had tremendous growth! Growing by nearly 70% in one year is pretty good for a site that was already well established…I'm happy! Nearly 1.8 million page views sounds pretty big to me! (The spikes are when I send an email or publish a new post in case you are wondering). Is 147,854 pageviews per month good? Doesn't matter so much…I love the growing community of people here at NichePursuits.com. Thanks so much for reading, commenting, and sharing! 4. Double the Affiliate Sales on NichePursuits.com – Completed! I didn't share how much I made from affiliate commissions last year on my site here. I don't plan on sharing that amount this year either – I will just compare the 2 years to see if it doubled. I continued my pattern of not optimizing my site for affiliate commissions, I could do much more to add more affiliate links to posts or add more advertising. I haven't completed 100% of the accounting for 2013, but I was able to pull enough rough numbers together to know that I did indeed double my affiliate sales on NichePursuits.com! I attribute most of this to how poorly I did in 2012 rather than how well I did in 2013. I still actually view the amount of affiliate commissions I earn as low for the amount of traffic that my site gets. All of these “affiliate commissions” do not include things like sales of Long Tail Pro, Rank Hero, Niche Website Theme, etc. (These are products where I am an owner). I really wanted to make this happen, but other than the Niche Site Projects, I actually only built out about half a dozen other sites. I experienced at lot of growth with my blog (as you can see) as well on Long Tail Pro, and simply did not have much time. For most of 2013, I was still trying to do everything myself – or when I did hire a full-time VA based in the Philippines, it didn't work out. Despite all that, I am happy to say that my niche site income DID increase by 38% in 2013. So, even though I didn't hit my goal, I'm happy with the growth in earnings! In a nutshell, my older sites (built pre-2013) continued to be stable or grow; and my sites in 2013 added even more to my bottom line. I'm happy with 38% growth considering the trouble I had with VAs and limited number of new sites built. However, what's exciting is that I now have an AWESOME full-time employee helping me build out lots of new niche sites in 2014! With his help, I fully expect to double my niche site income in 2014…woohoo! 6. Read 1 Business Book Per Month – Complete! I set a goal to read a new business book each month, and I'm happy to say that I accomplished that goal! I was providing reviews of some of the books I read early in the year (such as here and here); however, I fizzled on the reviews later in the year. But I still read the books! Some of these are self published authors and some are not. Delivering Happiness: A Path to Profits, Passion, and Purposefollow by Tony Hsieh. I really enjoyed this book and HIGHLY recommend it. I wrote a review here. The Millionaire Fastlane: Crack the Code to Wealth and Live Rich for a Lifetime by MJ DeMarco. The book was good, but not great. I agreed with the principles taught, but had a few issues with it. Read my review here. Influence: The Psychology of Persuasion by Robert Cialdini. Excellent book, recommended. Read my review here. The War of Art by Stephen Pressfield. A different kind of book, more for motivational little quotes or stories. Its good though. Read my review here. Rules of Thumb: How to Stay Productive and Inspired Even in the Most Turbulent Times by Alam M. Webber. This book did not grab me at all. This was more about stories from the author's life, and I didn't find them interesting. So, I skimmed the book very quickly and moved on. Just my opinion. Drive: The Surprising Truth About What Motivates Us by Daniel H. Pink . This was a great book and got me thinking. I recommend it. Everything I Know About Marketing I Learned From Google by Aaron Goldman. This was a really great book as well. I really enjoyed Aaron's witty and funny writing style along with excellent marketing tips. The Pumpkin Plan by Mike Michalowicz. This was a pretty good book. Its most applicable to small business owners that are feeling overwhelmed with their business. I started to just skim at the end, as it seemed like a lot of repetitive material, but still a good book. The Power of Habit: Why We Do What We Do in Life and Business by Charles Duhigg. This was a really good book. The science of the brain and stories were extremely fascinating. This book will really get you thinking about the habits you have and how you can change. Highly recommended. Platform: Get Noticed in a Noisy World by Michael Hyatt. I did not enjoy this book at all. Definitely not recommended. If you have started a blog, already have a twitter account, and have any kind of internet basics, you probably don't need this book. I would suspect that older people that are just learning about what the internet is might find this book good. I know alot of people like Michael Hyatt, but I personally do not recommend this book. QR Codes Kill Kittens: How to Alienate Customers, Dishearten Employees, and Drive Your Business into the Ground by Scott Stratten. Hilarious book by an amazing marketer. I've had the pleasure of hearing Scott speak in person at PubCon and New Media Expo. This book is mostly a picture book of companies doing stupid things on social media that will hurt their brands. I recommend for the laughs and simple but powerful marketing advice. Its a tiny book that can be read in a couple of hours. Without Their Permission: How the 21st Century Will Be Made, Not Managed by Alexis Ohanian. This was a good book, partly for the story behind Reddit and partly for the interesting business advice that Alexis shares. Recommended. Antifragile: Things That Gain from Disorder by Nassim Nicholas Taleb. I didn't like this book. I read Nassim's previous book, The Black Swan, and liked that. However, this one feels like the author wrote it to prove how smart he is. He's a smart dude, no doubt. But reading it is not easy – complicated language, philosophical monologue, obscure ancient examples, and written like a snooty professor…not written for the reader to enjoy. But written by a highly intelligent person that feels like he wants to make sure we all know he's smarter than us. Well done Nassim. Don't read this. Overall, I made it through 13 books…sweet! I plan to up the goal in 2014. Overall, 2013 was an amazing year for my business, and I'm happy with the goals that I completed. Even though I only completed 3 of my 6 goals, I still made positive progress on all of them. I can live with that. In addition, I accomplished some other things this year in my business that I haven't shared publicly. One of those was the tremendous growth of Long Tail Pro in 2013. I want to thank all of you for that! Is anyone interested in hearing more about my software business – Long Tail Pro? I look forward to 2014, and hope to make it the best year in my business to date. I'll be sharing my goals for 2014 next week in a blog post. What about your 2013 goals, how did it go? What do you have planned for 2014? I'd love to hear your thoughts on my goals as well as your own. Best of luck to everyone in their business this year! Awesome post! Must be inspiring for your audience to see what you have been able to do with all of the niche site information you have provided to the public. I know it’s helped me and motivated me to get started with my own sites. I will have to check out some of the books you read for sure as well. My year went fairly well and I see a lot more happening in 2014 for my blog and my online ventures! I’m currently working on my first Kindle book and working to get a course launched in Udemy! Thanks John! Best of luck with your 2014 ventures, Kindle book, and Udemy course…sweet! Thanks Vlada…good to know; hope to have more in 2014! And about the constant battle between starting something new or working more on an already successful venture – I think you did the right choice. You have something big here ( both NichePursuits and LTP), no sense in neglecting them for a few more niche sites. Best solution probably lies in outsourcing. Doing it right might be a big goal for 2014. Thanks, I agree. I’ve hired someone full-time to help me ramp up the niche site business even more. Gives me the time to focus on my existing business. I read about half of the books you discussed. I think the War of Art is my favorite. “Madonna doesn’t walk around her house in cone bras. She does not identify with “Madonna”. Madonna employs “Madonna”. Nice quote, lol! But it makes total sense. Congrats on the viewership! Those are HUGE numbers! Great post, Spencer. Congrats on your continuing success! I’m a big reader and really enjoyed your book reviews. My plan for 2014 is to follow all of the great advice that you and Perrin have shared in your NSP2 series and create my first profitable niche site. Just want to say thanks for all your amazing content. 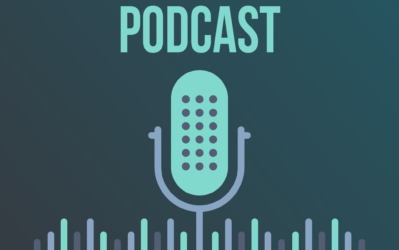 I follow a lot of business podcasts and blogs and this one has been the most helpful to me in getting started with making money online – I have found it both extremely informative as well as inspirational. Keep up the good work! Thank you Lloyd…comments like these really let me know that what I write has an impact…THANK YOU! – Also the effective ways to increase the click through and conversion rate for amazon aff. I don’t know what you earned, but I greatly appreciate everything you’ve shared. You have helped me figure out a lot of little gotchas. Best of luck in 2014! Congratulations on the great results!! Congratulations Spencer looks like a really successful year to me. It was a pleasure meeting and getting to know you at NMX. Hope the family was pumped to see you back home. My son actually got off the video games to pick me up at the airport. Thanks Spencer for this post. I haven’t set my 2014 goals yet but I must confess I’m going to steal one of your goals; reading one book per month. There is one other accomplishment that you may not have been shooting for but that you achieved nevertheless. I finally understand what I am doing and it is all because of you and how clear and detailed you have been. I will always be grateful to you Spencer for your generosity of sharing your experience, and for your honesty. I am also the owner of Long Tail Platinum and can’t thank you enough for this tool that has made my life so much easier and given me the luxury of time to really work on my sites. I’m starting a third site this month and looking forward to it rather than with dread. I know what to do now. And, it is all because of you. Wow! Thank you SO much Michele. I feel incredibly humbled receiving so much praise. Thank you so much for taking the time to share your experiences over the past year. THANK YOU! Spencer, you’ve been an inspiration all year long. I had lots of ups and downs this year, but the things I’ve been most proud of have been thanks to following along with you on your public niche site projects. Thanks for all you’ve done. Keep it up! Thank you Dave…best of luck! I learned a lot from you this year, and I have to say you helped me a lot with the value you provide through this web site. I started my first niche site thanks to you. Awesome stuff Spencer, thanks for the glimpse into the business you have developed. Surprisingly the book list may be the most helpful…although I don’t read much I listen to audiobooks/podcasts a lot and in 2014 want to listen to more in depth audiobooks and fewer “more of the same” podcasts. Congrats on a great year Spencer! Your site has helped inspire me (and show me the way) for a couple of niche sites, which I am working on and will continue to work on in 2014! Love reading all of your stuff, and I am sure you will continue to have great success! I follow less and less people lately but always read your posts. I always feel like I’ve learned something and enjoyed it at the same time. I would Love to know more about your longtail pro side of business. I’m not planning any kind of software launch but am very interested all the same. Congrats on the accomplishments and don’t beat yourself up over target not reached. They’re by no means failures in my book. Ps. Do you read the books your not enjoying until the end? If I don’t like a book within the first few chapters I skim a bit and if I’m still not impressed I put it down and move on. Time is too valuable to waste in things that don’t make an impact for you IMO. Thanks Spencer – love the idea of a book a month, don’t know how you fit it all in! Thanks for a great year of articles to this most excellent blog. If there was only one thing I could learn about your business activity last year it would be this: How many seed keywords did you type into your Long Tail Pro account in 2013? Congrats for your awesome 2013, Spencer. 2014 will be even better. Awesome post Spencer, Congrats for your success in 2013. It is very much inspiring for your audience to see what you have been able achieve last year. Looking forward for your next post. Congrats on your great achievements in 2013 Spencer! That’s why we will keep following you and buy your products. 2013 is a pretty good year for me both financially & personally but I’m sure I can do much better in 2014. Wish you a great 2014 Spencer! Thanks Tung…its always great to hear the impact these case studies are having! Best of luck in 2014! Congrats, all I can see is some awesome achievements ! You’ve become an inspiration for many who now know that they can reach financial indpedence sooner than they imagine. I do plan on brushing up the niche website theme this year, hopefully in the next few months. Spencer congratulations on a great year and thank you for all that you do. The Niche Site Projects keep me motivated and pushing forward on my own Niche Pursuits. Great stuff Spencer and congrats on an awesome 2013. Even without hitting some of you goals, you managed to cross several milestones and they were still a success. Thanks Aman! Yes, we are adding automatic rank tracking for your websites very soon. A few other features in the works or discussion. See my response to Aman above. Lots more planned! I’m one of the new readers you gained in 2013, and I’ve been back many many times! In answer to your question at the end of the post, I’d definitely be interested in hearing more about how your software business is going. LTP is a great product. I used the trial this summer to find a keyword for my first site, then I bought it and subscribed to Platinum when that site started making money. I’d love to hear more about your end of it. Thanks for the feedback Daniel! Maybe I’ll do more posts about what it takes to bootstrap your own software business. Thanks! Those unique visitor stats are incredible: over 300 THOUSAND people visited your site last year. That’s enough to fill up my baseball team’s ballpark (Fenway) 10 times! Look forward to reading your 2014 goals next week. Wow, that IS alot of people…cool! Despite not hitting all goals 100%, I’d say 2013 was definitely a huge success, congrats on that! A goal of mine for this year is to create an Amazon themed site similar to your public niche projects. 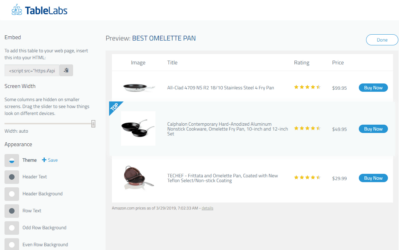 I purchased EasyAzon through your link and am going through the tutorial now. Keep up the great work! Keep it up! Looking forward to what 2014 brings. You almost have it right. You say repeat B/C, but that’s not accurate…I’m actually repeating B/C and A. In fact, I just hired a full-time employee to expand my “A” (Niche Sites): https://www.nichepursuits.com/a-major-step-forward-in-my-business-hiring-a-full-time-employee/. I’m VERY much still in the niche site game. So, I do all 3. I just read your new post. Very exciting. Mutually beneficial to both of you. Scaling up the websites again will be awesome for the community as it will provide you more opportunity to test things and report back. Hi, great results, even if you failed on some of your goals. You probably had a more positive reaching effect then ever before, just by doing your Public nice sites. Looking forward to what you do this year.. Question for you Spencer and Perrin as well actually, in regards to your Amazon sites. Are you using any of the geolocation features of EasyAzon? If so, I’m curious if you’re seeing sales results from Amazon associate accounts from places like UK, Germany, etc. ? I do use geolocation, but haven’t noticed sales yet. Nice overview Spencer and congrats with the achievements. I know that setting goals is good for your focus, but in a year much can change. 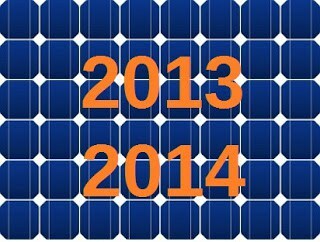 I myself also made a review of 2013, but it’s in Dutch 😉 http://www.slagtermedia.nl/wat-heeft-2013-slagter-media-opgeleverd-en-wat-brengt-2014/. 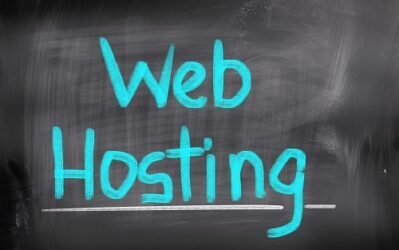 The website is growing so that’s super, but I learn a lot from your blog posts! Keep up the good work! And if i can ask – do you see yourself operate a “bigger” business, let’s say 20 people, or you desire to keep yourself small for less headache the logistic problems? Spencer, indeed I didn’t have much online business goal in 2013..
More on my personal one. However, I made some extra online income unexpectedly. Again, thank you so much on those Case Studies. I followed along and they are in spring and made me alot! Out of those 12 books, which one or three made the most impact on your Niche Site/online business? I love to check them out in 2014. Thanks and good luck in 2014. You have a great plan ahead! I’m not sure which book had the most impact…I highlighted the ones I liked though – lots of great ones. Hi Spencer.Its Kelvin here and i wish to say thanks for sharing details of your business success the past year.I do hope you get better at managing your various businesses and i think hiring others will be the best way to go.Meanwhile congratulations on a successful past year and sure this year will be much greater with the goals and plans you have already set out to accomplish. Its gonna be a great year for all of us.Thanks once again for sharing. May I suggest if you could include how you create and configure a site similar to your nsp1 in your “Longtail Classroom” using wordpress and your niche website theme ?